2017 NEW ROOF WITH LIFETIME TRANSFERABLE WARRANTY TO NEW OWNER! Wait until you see this completely custom, luxury home on the prettiest street in the Trails! Stunning private lot with conservation views from every room, plus attractive curb appeal w/beautiful elevation, lush landscaping & expansive front porch! 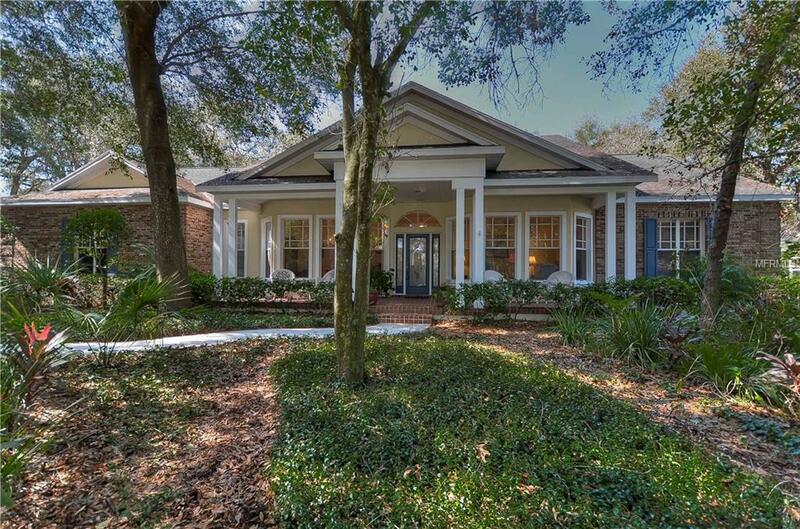 The beauty continues inside w/hardwood floors, oversized picturesque windows & crown molding! Separate formal living & dining rooms offer abundant space to entertain & feature impressive tray ceilings & wall of windows. Cooking in this chef's kitchen will be a delight w/plethora of cabinet & counter space, center island, walk-in pantry & breakfast nook looking out onto the lanai! Delightful family room w/wood-burning fireplace boasts brick accent, built in cabinetry & French doors opening to lanai, further expanding your living & entertaining space! Private master suite boasts walk-in closet, stunning nature views of the beautiful backyard plus en-suite w/dual sinks, garden tub & walk-in shower! Large office is adjacent to master & could easily be a nursery! Three bedrooms & two full baths are quietly tucked away behind kitchen plus an upstairs large bonus room for mans cave or childrens space! Updates include; North AC unit replaced 2016, water heater 2010 & lanai re-screened 2009! Family & friends will spend many hours on extended & covered, brick pavered, screened lanai complete with sparkling swimming pool! Come relax in the tranquil garden by the Koi pond in your peaceful, wooded backyard!